Your guide will pick you up at the airport. 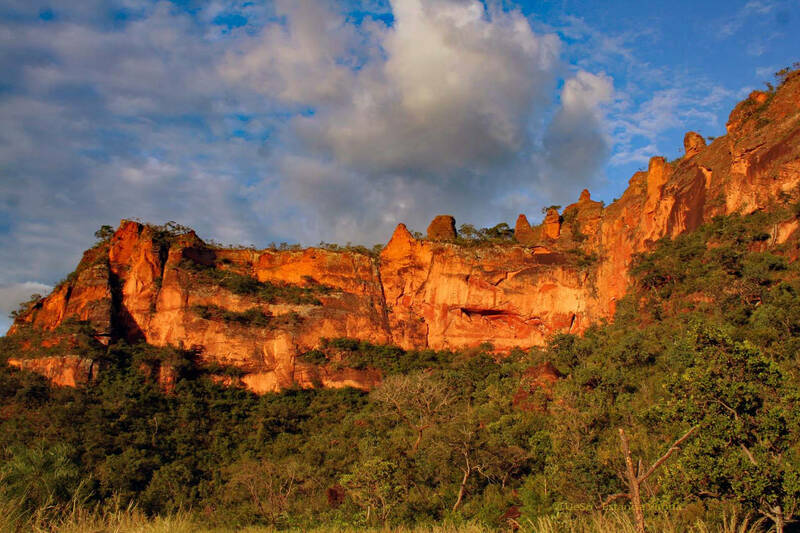 You drive about 70km to the town of Chapada dos Guimarães. 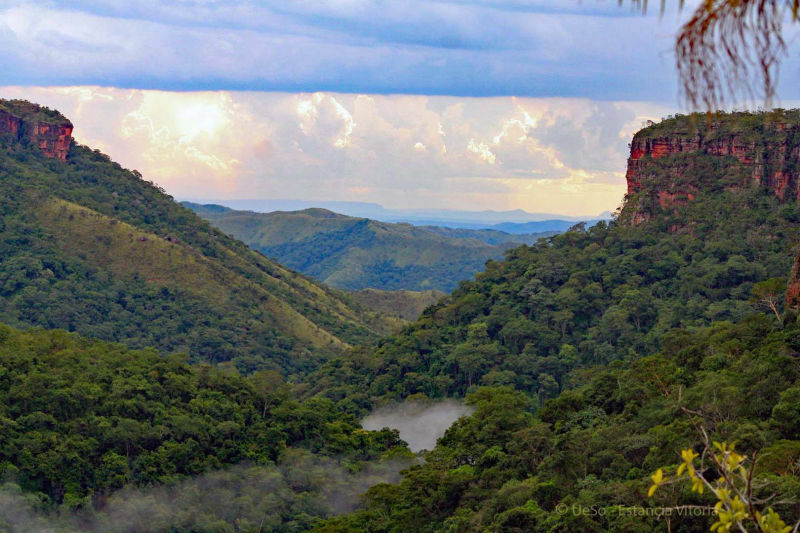 The village of Chapada is located north-east of Cuiabá and has about 16,000 inhabitants. The village is situated on a rocky plateau, 836 metres above sea level. Gorges, table mountains, caves, rivers and waterfalls are part of this impressive landscape. 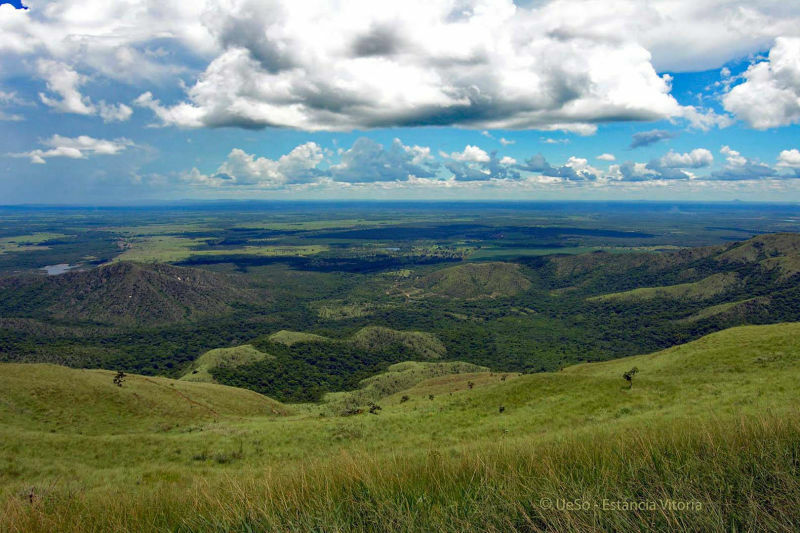 After the Amazon region in the north of the state of Mato Grosso and the Pantanal, this Table Mountain is the third ecosystem in this region, which is unique in the world. Check-in at the Pousada, in Chapada. Lunch depends on arrival at the airport. After lunch you drive to the Mirante lookout, from where you have a beautiful view over the countryside. Mirante is also the geographical centre of South America. You will enjoy a short hike in the Table Mountain. Afterwards you will visit other attractions (rock sculptures, small waterfalls etc.) in this area. These excursions depend on the opening hours of the facilities, which are constantly changing and cannot be planned in advance. In the evening return to Chapada and dinner. Rest of the evening at your leisure. Overnight stay in the Pousada. After breakfast you will visit the largest waterfall in the region, the famous "bridal veil" waterfall ("Veu de Noiva"). The water falls over 70 m into the depth. Afterwards we will have lunch in the village of Chapada. After lunch and the usual siesta you take a short hike to the Table Mountain. Dinner and overnight is in the pousada. After breakfast you drive into the Pantanal, on about 170 km asphalted road and 38 km on the natural road (Transpantaneira). 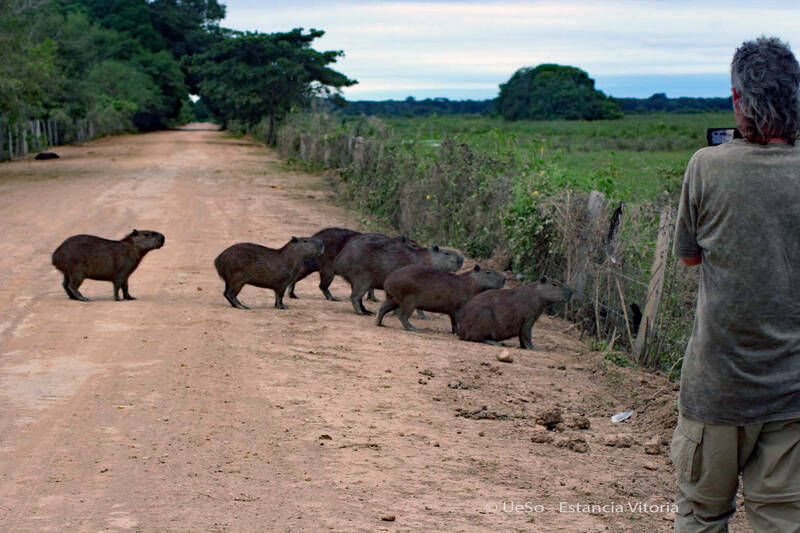 On this natural road you will already meet some wild animals. Arrival at the Pousada UeSo Estância Vitória, where you will be served lunch in form of a buffet. After lunch and a short break we go on a small foot tour in the nearby gallery-wood with Climbing a 17 metre high lookout tower. Dinner is at the lodge. If desired, a night safari on foot after dinner can be arranged to detect animals that are active at dusk. Dont' forget to bring your flashlight. After breakfast you do a riding tour (also suitable for people without riding experience!). 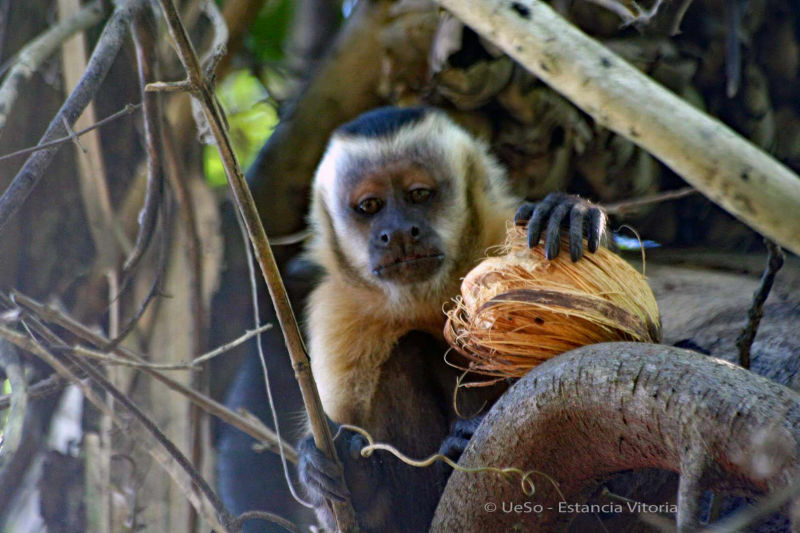 You ride through the beautiful alluvial land and you will meet some animals. After lunch, rest by the pool and time at your leisure. In the late afternoon we drive to the Transpantaneira to meet many birds, the Tuiuiu (Jabiru) and hopefully also the capybaras or the jacares (caimans). 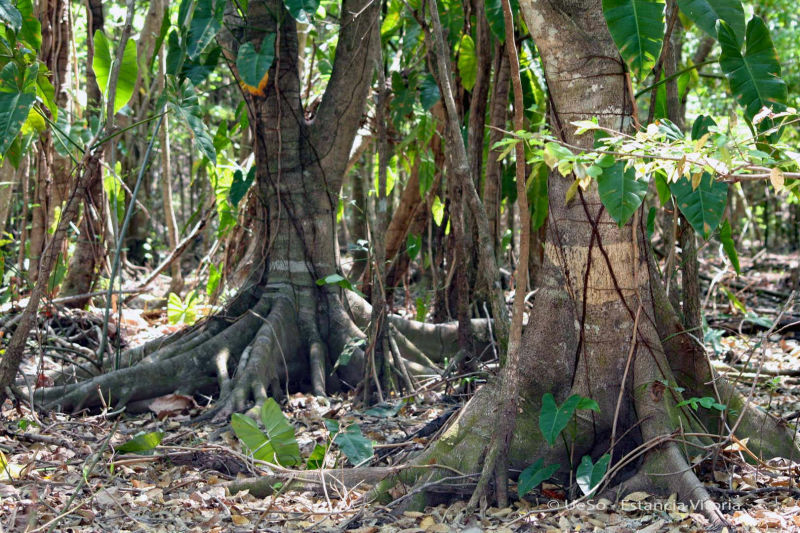 With a little luck, our guides can also find you an anteater or a tapir. Then return to the lodge for dinner. In the morning at five o'clock before breakfast we start to our sunrise foot tour. 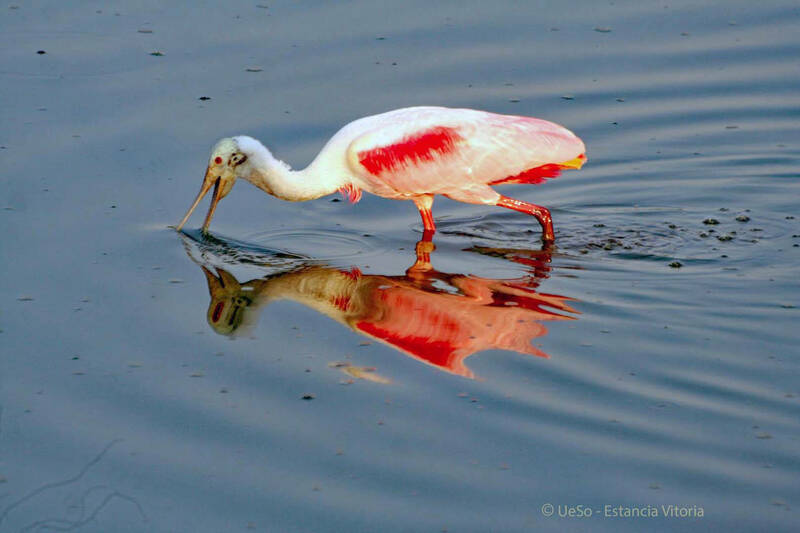 Enjoy the awakening of the Pantanal, this natural spectacle you should not miss. After breakfast we drive by car to our boat trip. You will see many birds, with luck also a family of giant otters. After a lunch break (buffet) you can ride again. Dinner is at the lodge. Breakfast is in the Pousada UeSo Estancia Vitoria. After breakfast transfer to the airport. If you depart later, in the afternoon, you will go on another excursion on foot or by horse in the morning. In this case, transfer to the airport after lunch. One person is free for groups of 12 people. Children up to 5 years in parents' room are free of charge, children from 6-9 years receive a discount of 50%. Children from 10 years pay the full adult rate. If you wish a private tour guide (in German or English, depending on availability at the time of booking) and/or your own vehicle, we can also offer this. Vehicle and tour guide are exclusively at the guests' disposal. Light backpack, jeans or comfortable long trousers, light rain jacket, sweater, hat, hiking or sneakers, swimsuit. A long-sleeved light T-shirt. Dresses should, if possible, not be black, also not brightly shining colors, this attracts the mosquitoes. In the rainy season we also rent boots, which are cleaned afterwards. Mosquito repellent, sunglasses, torch, if you have a camera and binoculars. We recommend that you take out a private holiday travel insurance for your South America trip. Get up at about 05:30 am, then we will serve you a coffee or tea. Afterwards you drive to Porto Jofre to the end point of the Transpantaneira, about 107 km on unpaved roads. On the way there you will meet many mammals and birds. In the middle of this beautiful nature we stop to enjoy breakfast in form of a picnic. 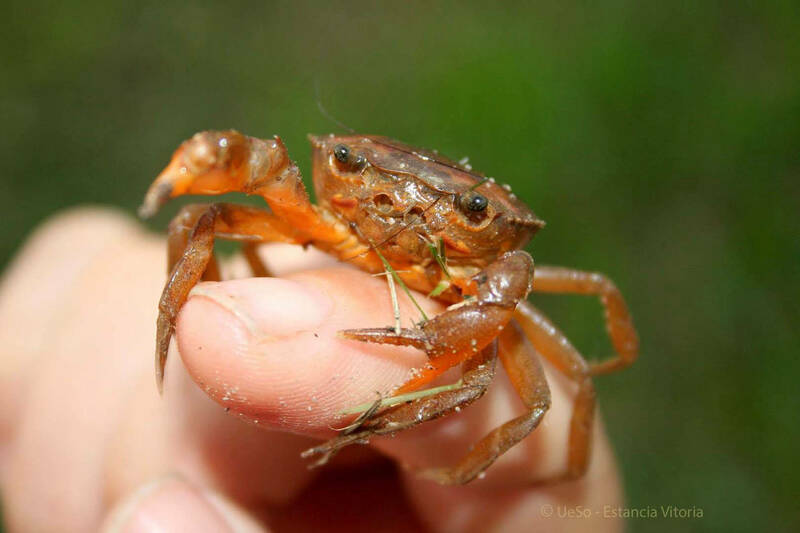 In Porto Jofre starts a five hour boat tour (simple boats) deep into the Cerrado, in middle of untouched nature. We look for the Jaguars in the area of Rio Cuiabá, Rio Tres Irmãos, Rio São Lourenço and Rio Piquiri. Lunch is in the form of a picnic (packed lunch). In the late afternoon we return to the lodge. Dinner and overnight is in the Pousada UeSo - Estância Vitória.